Measures to address Malta’s declining fertility rate need to be stepped up if the situation is to improve in the coming years, an economist has warned. 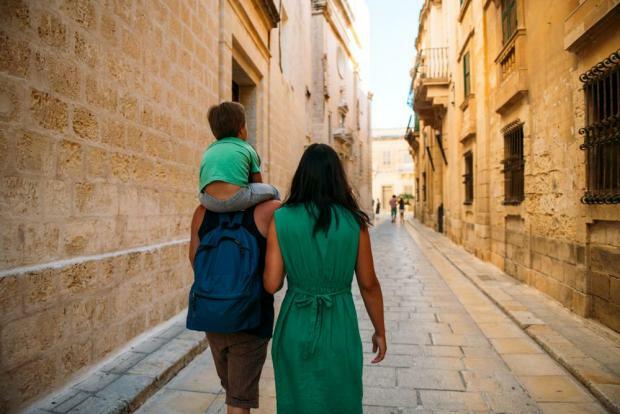 In comments to The Sunday Times of Malta in the wake of a Eurostat report that revealed the Maltese are having the least number of babies in Europe, Stephanie Fabri said that the first step when tackling the situation should be to “take stock” of the local situation. “We need to understand the local determinants of low fertility rates. Based on this thorough locally-based analysis, the government would be in a much better position to design specific policies that encourage families to have more children. “While it is good to look at what is working in other countries, it is important to implement a nation-wide study of our own. This is because the determinants of fertility rate may include socio-economic factors that are specific to our country and not others,” explained Dr Fabri, who has specialised in public policy and is a former economist at the Strategic Policy Secretariat within the OPM. She noted that in recent years, there have been several improvements when it comes to childcare services and family-friendly measures. This, Dr Fabri believes, had likely prevented the fertility rate from declining even more. The Eurostat data revealed that the rate in Malta currently stands at 1.26 babies per woman. But despite being the lowest, is the rate actually a reflection of the state of the economy? “Low fertility rates are common among developed countries. In fact, the World Population Review report shows that the highest fertility rates are present in developing countries such as Somalia and Niger,” the economist said. There were a number of reasons why a country could be experiencing such low rates, she said. This included interrelated socio-economic elements such as unemployment, uncertain labour market conditions, age at the time of marriage, mean age of women at birth of first child, household income and investment in human capital. “The first two reasons are unlikely to be the situation in the local context given that the economy has not gone through major unemployment or labour market shocks in recent decades. The average age of marriage and mean age of women at birth of first child both increased over the past decade so these elements might be contributing to low fertility rates. “With regard to household income, various studies show that as the average household income rises (a determinant of economic growth), fertility rates decline, especially for middle income households. This is mainly due to the rising costs of raising children which is a factor affecting most countries across Europe, combined with increased investment in children, especially in their education,” Dr Fabri went on to point out. Other reasons for lower fertility include self-development involving educational and work commitments. Within this context, the increase of women in Malta’s labour market may also be associated with lower fertility levels due to increased commitments at work. Dr Fabri said the low rate has a “considerable economic impact” on Malta given that the country depends on human capital to generate economic growth. While Dr Fabri believes that there are serious economic implications as a result of low fertility rates, fewer births might not have the significant negative economic implications as many may think. Technological advancements such as Artificial Intelligence and automation, for instance, may lead to lower demand for labour to sustain economic growth. However, one needed to interpret this with caution, she added. “There are also arguments in favour of the environment, whereby a less densely populated country is likely to have lower levels of pollution,” she said.